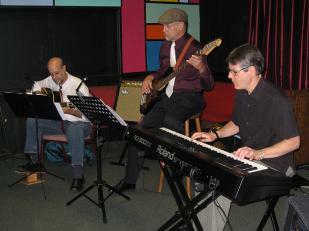 Our jazz combo plays those wonderful standards from the 30's and 40's that make you smile and tap your feet.� Here�s an audio / photo montage of the group playing (just click on the photo to play it).� There are other longer clips on the Trio Music and Solo Music pages. We are based in Rochester, NY where we enjoy playing in small to medium sized venues and sharing the "good old days" feeling and reminiscences that these tunes evoke. 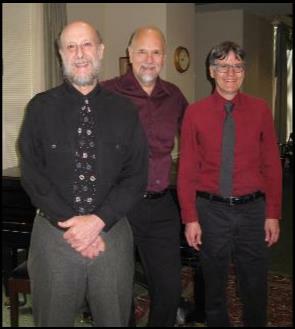 For booking information click here.� We particularly enjoy playing at private parties, caf�s and senior homes, either as background music or in a recital format.